On the morning of April 11, the Pitmen conducted a training session in Sviatoshyno. After a short warm-up, the players were divided into groups: the defenders trained under the guidance of Paulo Fonseca, while the midfielders and the forwards, along with Nuno Campos and Pedro Moreira, worked on the final attacking phase. Then the Orange-and-Blacks focused on the team performance organization in midfield. 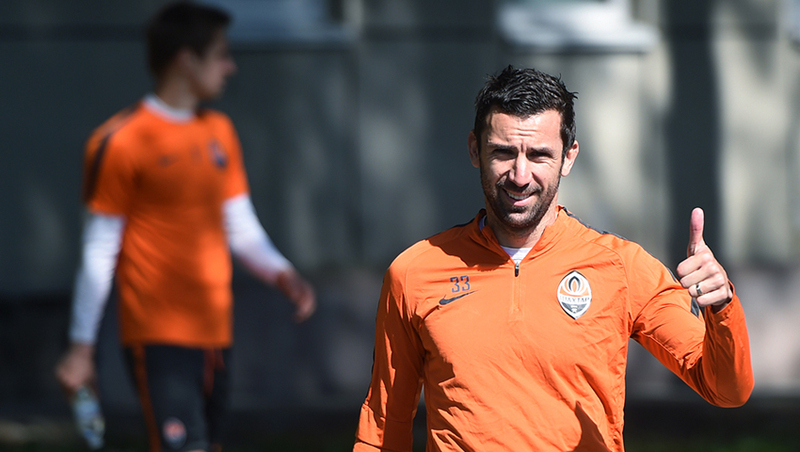 Taras Stepanenko, who got injured in the faceoff against Chornomorets, trained individually. We also want to note that U21 team midfielder Giorgi Arabidze has also trained with the senior team today. We want to remind you that the Ukrainian Premier League round 25 game Olimpik vs Shakhtar will be held at Dynamo’s V. Lobanovskyi stadium in Kyiv on April 15. It kicks off at 17:00.